Drug law in Germany can be quite confusing. There isn’t much information to be found relating to the legality of specific drugs. According to Wikipedia, in 1994 Germany’s federal constitutional court ruled that neither drug addiction nor the possession of small amounts of drugs was a crime. The German narcotics law (Betäubungsmittelgesetz) states that authorities are not required to prosecute people for possession of narcotics. Except in certain circumstances such as when individuals are using them in public or are near government buildings. The law was left vague purposely, thus allowing individual states to design their own policies on the subject. In some german states such as Berlin, you are legally able to posses up to 16 grams of marijuana. Whereas in other states such as Bavaria, you are only allowed to posses a few grams at a time. Although some form of medical marijuana has been legal in Germany since 2008 it is not widely available. The German government currently has such a rigorous application process that only 647 of Germany’s some 80 million people have been able to access medical marijuana (as of April 5th, 2016). On may 4th of 2016 German Health Minister Hermann Gröhe introduced drafted legislation to the German Cabinet. 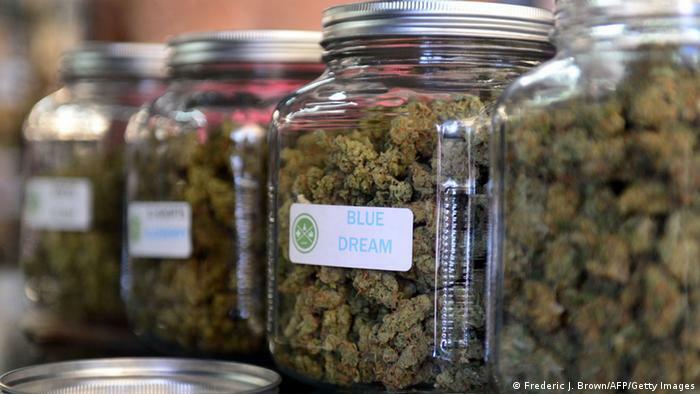 Said legislation outlines a federally backed medical marijuana plan. “Our goal is that seriously ill patients are treated in the best way possible,”Hermann said, Wednesday. The cabinet approved the legislature, granting medical marijuana use to patients with “no other viable treatment options”. The legislature plans to legalize medical marijuana in Germany by 2017. The legislature also stipulates that for patients who are receiving ineffective treatment for serious diseases, medical marijuana will be provided free of charge by their public health insurance. The law even included a provision that allows the Federal Institute for Drugs and Medical Devices to cultivate marijuana for distribution to pharmacies. Although Germany may one day grow medical marijuana, for now, they have agreed to import it from surrounding countries. This way new patients will have access to their medicine so long as they have a prescription from their doctor. Luckily neighboring countries Poland, Netherlands, France, and The Czech Republic all have some form of legal cannabis. Hopefully, this new legislature will allow German citizens everywhere to obtain the medicine they need. Germany’s announcement regarding the legality of cannabis in their country is one that is starting to reflect an international view. Canada, Columbia, The Czech Republic, Netherlands, Uruguay, Romania, and France have all legalized medical marijuana on a national level. The United States has medical marijuana legalization in almost half of its states. Meanwhile, Canada expects to have legal recreational cannabis by 2017. In late March, the Global Commission on Drug Policy published a statement calling for the UN to encourage all countries to decriminalize drugs.